Ever wanted to create beatbox loops without clicks and pops? TyTe shows you how! 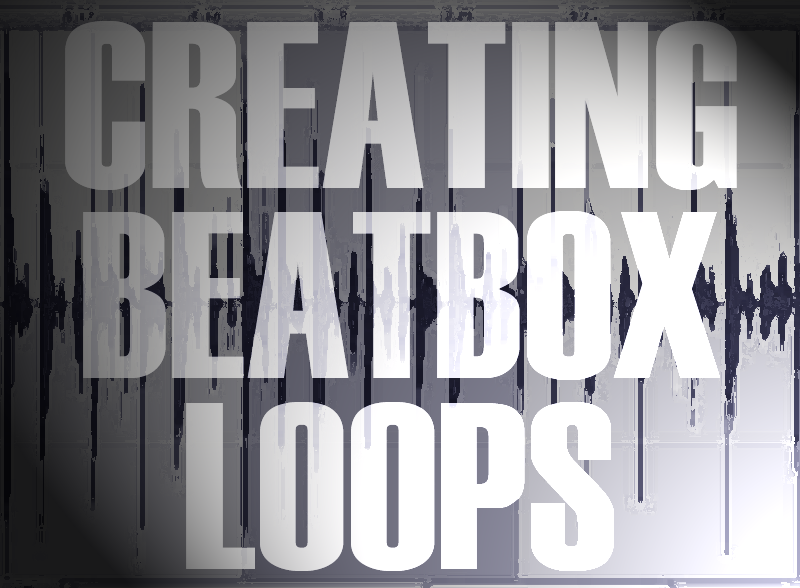 At some point, if you're going to layer beatbox then you're going to want to make some home-grown beatbox loops. There's nothing too difficult about this, but here are some tips! You don't have to play to a click track but it helps. This way you can set the tempo before recording. If you do have a click track, don't use the awful metronome beeps you get on some recordings but use a MIDI/drum track. Use closed or in-ear headphones (not too loud) so you don't get spill on the microphone. When you make a beatbox recording, quite often the first bar or measure you make isn't the best and it's not in time. So, record several bars with the aim of using one of the middle bars or measures! When you are looping audio in a wave editor, for example, CoolEdit you need to make sure that the loop starts and finishes at a zero crossing point. Usually in a wave editor you will see a horizontal line (zero line) in the middle of the screen with the waveform going above and below the line. The zero crossing point is where the waveform crosses over the zero line. It is at these points that you need to cut the audio. You will need to zoom right in to the waveform to ensure that you are cutting in the right place. Some software, such as Cubase, has a button you can press to make sure you always snap to zero crossing points. If you cut audio at a point other than a zero crossing point then you will hear a click. This is because the audio is going from silence to sound almost immediately. If you do this to the best of your ability and you still get a click then try doing a very short fade-in at the beginning of the loop and a very short fade-out at the end of the loop to ensure that the loop starts and ends at zero. Fades are easily done in most recording packages.